This month's Dallas Blogger Brunch was held at Saint Ann Restaurant in the Harwood District of downtown Dallas. Each month I host a brunch for Dallas bloggers as a way to get to know each other and make new friends in the blogging community. 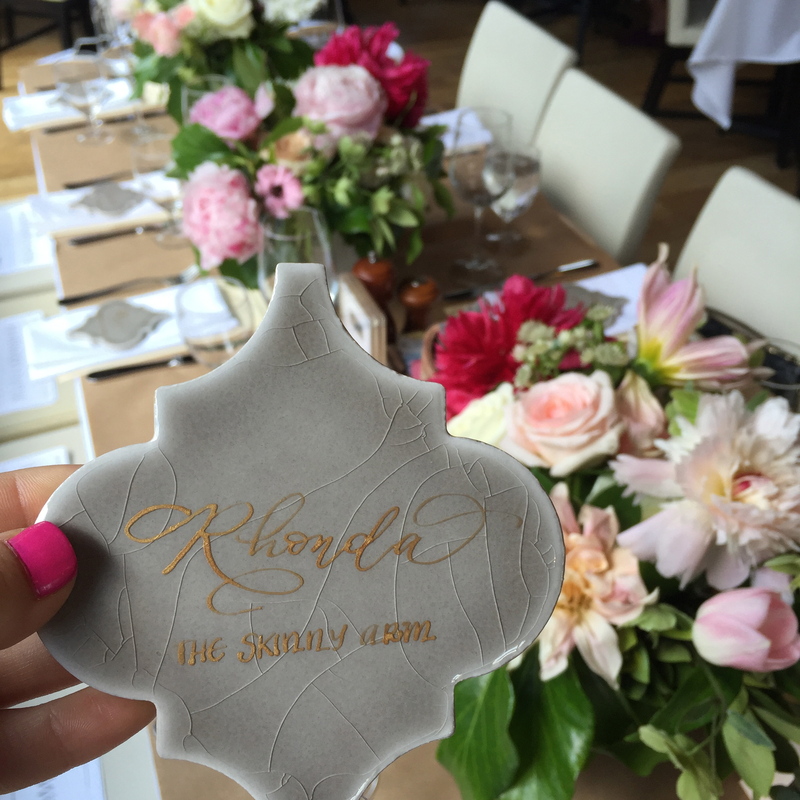 Brunch quickly became one of my favorite events to host and plan each month because of the talented bloggers, florists, and calligraphers that I have gotten to meet and work with. See some of our past brunches at Smoke, The Rustic, and Winslow's on the Dallas Blogger Brunch page. 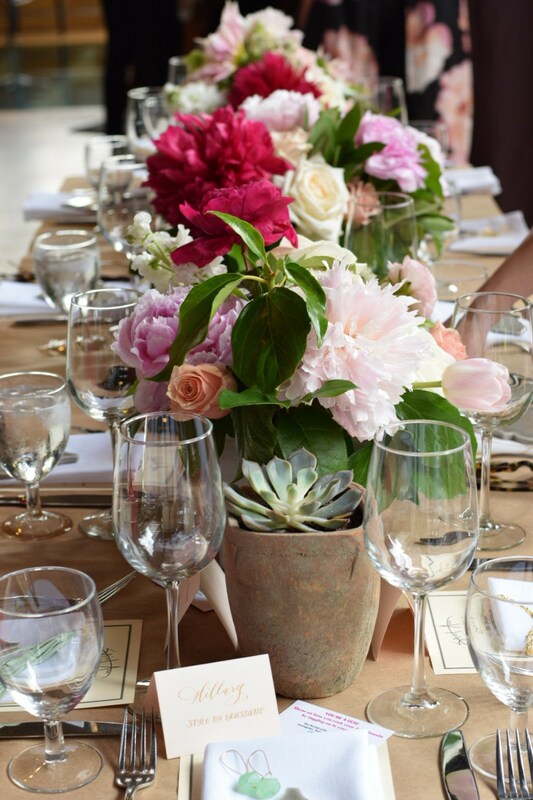 These beautiful florals were created by Root & Bloom; owner Jessica Huston is so talented and created the perfect mixture of colorful and classic blooms for our brunch table this month. Bonus: she's also from Oklahoma! :) I love meeting talented women in Dallas who are passionate about creating beauty things for their clients. Each of us received a special gift from Mad Jewels at our place setting and it was such a treat! Our place cards were created by Scribbles & Swirls and owner Betty outdid herself by creating a unique gold calligraphy tile place card as well as a traditional folded place card for our table. Saint Ann provided a fantastic sampling of their appetizers (the breakfast pizza was my favorite) and of course I ordered the Strawberry French Toast as my entree- it was delicious! Thank you, Saint Ann, for letting us brunch with you this month; I can't wait to visit again soon!